What do you wish were true for every child, everywhere? That's the question we asked celebrities, advocates, and community leaders for this year's Global Moms Relay, a campaign that turns liking, commenting, or sharing a story on social media into a $1 donation from Johnson & Johnson for causes that help families around the world. 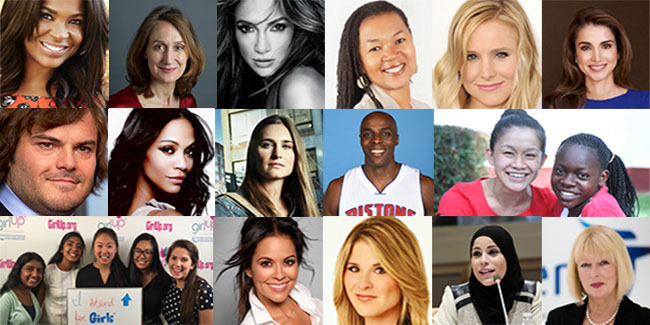 Since May 4, we've heard powerful and personal new answers from participants like Jennifer Lopez, Jenna Bush Hager, Zoe Saldana, and Her Majesty Queen Rania of Jordan -- and this community has responded, sharing these stories to raise more than $400,000 in one month. Now, with just one week left in the Relay, it's our last chance to meet our goal. We need less than 100,000 new likes, comments, and shares to unlock the maximum support for Shot@Life, Girl Up, Peace Corps Let Girls Learn Fund, U.S. Fund for UNICEF, and Nothing But Nets by next Friday -- and if you help us keep up the pace, we'll be on track to do it! Share today, and don't forget to come back for our final week of stories from Anthony Tolliver, former Sudanese "Lost Boy" Thon Chol, and Jack Black. Join the surge to the finish line: Share your favorite Global Moms Relay story by Friday, June 17. It's not often that we're able to financially support campaigns that help the United Nations improve the health and well-being of moms and babies worldwide just by sharing stories that inspire us with our friends and family.